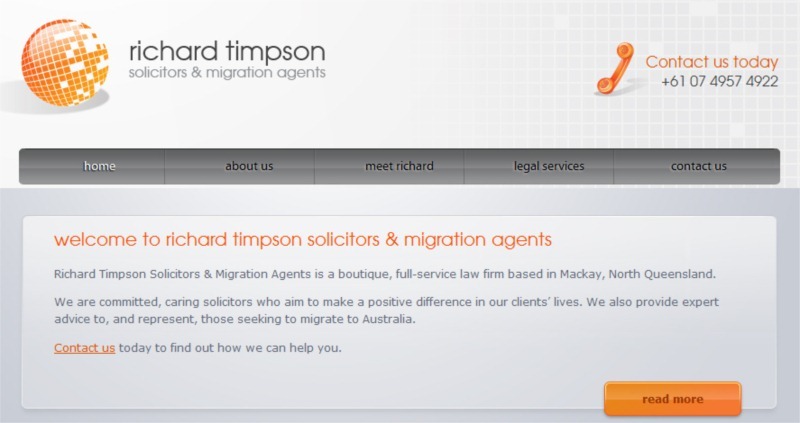 When Queensland solicitor and migration agent Richard Timpson launched his new law firm, he wanted to make sure that his web site not only looked great, but also sounded great – he’s aware that all too often lawyers use language that everyone else has trouble understanding. We got in our copywriter Leticia to simplify and clarify his text, and we think the results speak for themselves. 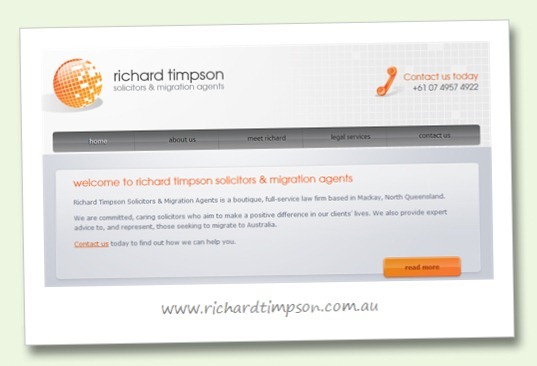 But first, Starfish Kristy designed Richard a logo, along with business cards, letterheads and an email signature. Then she moved onto the web site, incorporating elements from the new branding into the design. The site is built using WordPress – one of our first sites to launch with the new version 3 – and is hosted at Fasthit. Richard is currently working with our search engine “guy” Judd on keyword optimisation and Google AdWords. Richard new firm is off to a great start and we wish him every success in the future!